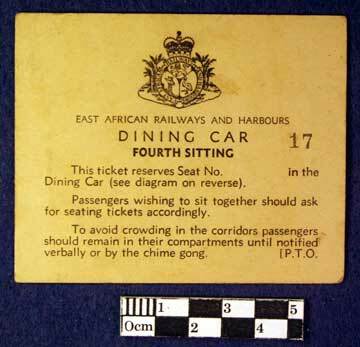 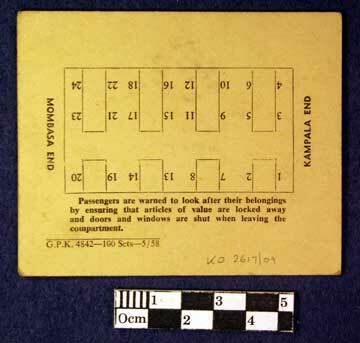 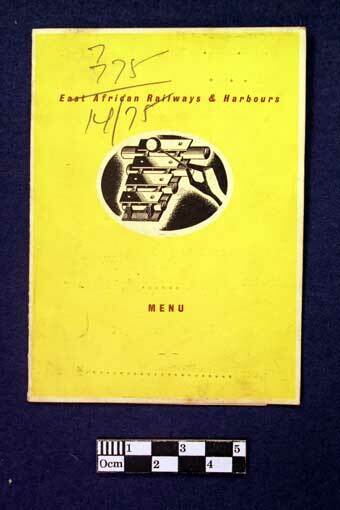 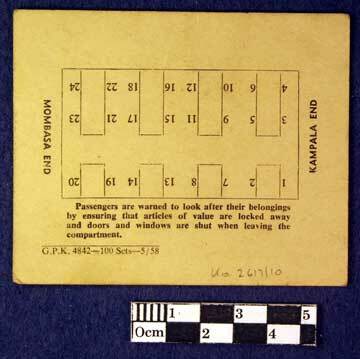 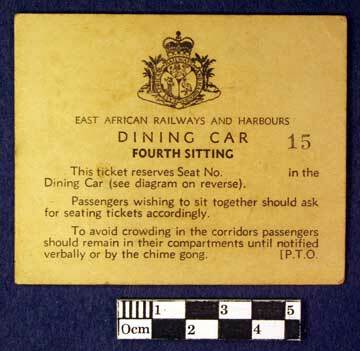 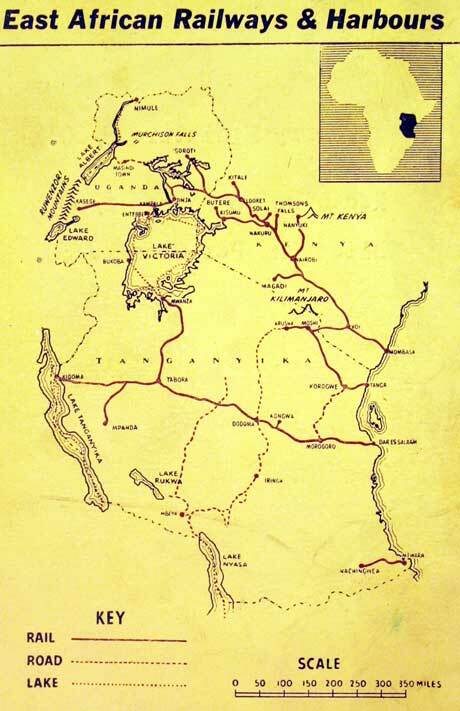 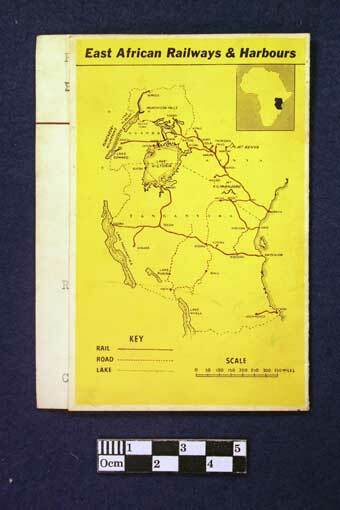 East African Railway Dining Car Items, 1959. 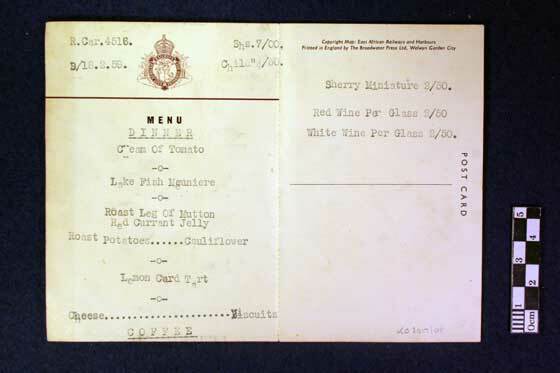 Corporal John Graves of the 1st Battalion, King's Own Royal Regiment, collected these items from his train journey with the East African Railways in Kenya, in February 1959. 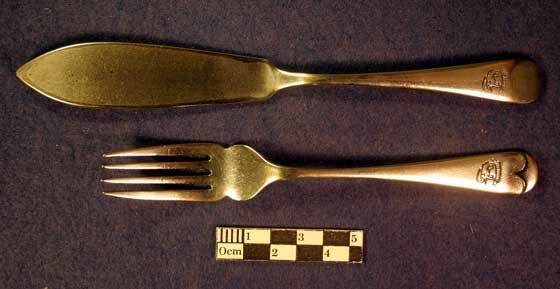 Fish knife and fork from the dining car of an East African Railways train, 1959, when the 1st Battalion, King's Own Royal Regiment were stationed in Kenya.